We chose Crowsnest after looking at many other rental properties on the island for a family Christmas vacation. It proved to be an inspired choice as the design, amenities, and location of the property all contributed to a memorable trip for everyone. The open plan upper deck, with the sea view, and the various seating areas, is very conducive to having fun together. The bedroom floor is cool and spacious and gives everyone a place to relax in private. The amenities are also terrific. The kitchen is well equipped to prepare family meals, We made a lot of use of the bar (and restocked it of course) and the pool. If you are looking for a wild, remote spot, this not the place for you. It is as close to Bridgetown as you can get … and be on a beautiful, mostly deserted, beach. Crowsnest has a great view of the cruise ship port, just along the coast. Watching the huge cruise ships coming and going, provided daily interest for us and the arrival of the Queen Mary 2 was especially memorable. Finally, the staff were very friendly and attentive and kept everywhere clean and tidy. All in all, Crowsnest is a wonderful spot with everything you need for a great family vacation. Just add rum .. Mount Gay of course. Accommodation was fantastic, helped by the attention of Maureen. From arrival to leaving every minute was top of the range, didn’t hire a car but used local buses to get everywhere, worth the holiday alone for this experience, best chance to meet and understand local people besides the local rum shacks, especially Bar Bossa just down the road, Vernon the taxi driver for the one day of island touring was a font of knowledge, animal sanctuary, north point East coast tour and Sand Dunes for lunch Oistins fish fry Friday not too be missed, swimming with turtles on El Tigre a great day, five yard from house back gate to swimming in the sea with fish, lovely quiet beach, Mount Gay tour well worth it, if you don’t like Rum you will after this, plenty of local stalls for food and a supermarket if needed. highly recommended shame we had to leave. Great property – fabulous living space on top floor with rooftop pool. Don’t be fooled by the slightly austere exterior – the interior is what you live in and it is extremely well laid out for a large group holiday – and the views and access to beach are as good as it gets. This is slightly south of the “Gold Coast” strip – but is far more individual – far greater living space for the same money – wholeheartedly recommend. The “honesty system” for bar and supplies is very refreshing – you just try to leave more than you take and it saves on time having to stock up every single item. If you don’t fancy cooking – but want good value – Chef Judy was top-rate – would recommend. Great stay – great property – thanks to all for arranging – especially Susan for making sure everything ran smoothly once we were there. Beautiful home, great location, all the amenities, safe and perfect for friends and families! We had an incredible vacation! CrowsNest2 is the perfect Barbados getaway, with an unbeatable location allowing you direct access to Brighton Beach, a quick 2 minute drive to shopping and amenities, and a 1 minute walk to Blueberry beach bar. The residence is immaculate with the ‘upper deck’ seen in the picture above where you will undoubtedly spend most of your time. I can’t recommend this place enough, I would recommend it to anyone and will definitely stay again. Beautiful, stunning & relaxing location for our retreat! We can’t say enough about how beautiful and exceptional our time was at Crowsnest! We hosted a meditation and yoga retreat and the space was peaceful, serene, relaxing and extremely comfortable! The views….stunning! The pictures of the house are wonderful….and when we walked in the door……exceptional, breath-taking, and more than what we expected! Every inch of the villa is stunning! The staff friendly and kind! And we hired a chef for the week – made the experience more delicious as we had the chance to taste the many flavours of the island! We can’t wait to host our next retreat at Crowsnest in 2018! I think the fact I am a repeat visitor says enough. The views are beautiful and location perfect. The accommodation is maintained to an incredibly high standard and each room is a very good size. There’re plenty of local activities to keep everyone entertained as well as a good range of restaurants should you want to eat out. This beach house is suitable for everyone and I would highly recommend it. We loved our stay. The top floor view and breeze was fantastic. The location was very convenient. Your tips to grocery stores and restaurants was very helpful and made our stay easy. The air conditioning was out in one bedroom and the grill did not work but the cleaning ladies attended to both immediately. We felt safe while staying there and were able to work the codes (thanks to Susan’s instructions). I reviewed the house on VRBO and gave it 5 stars. I booked to stay at Crows Nest with three friends for one week in June last year. The booking was easy and simplified and we were welcomed on arrival by Susan who gave us introductions and related info. The property is perfectly situated on Brighton Beach on the islands’ west coast within a short bus ride from Bridgetown and The Garrison and walking distance to shops and local amenities. The interior is immaculate and furnished to a high standard. Included is a suspended higher level swimming pool, a self service bar, a large kitchen and lounge area with just amazing near 360 degree views. The beach outside is very calm, bliss and quiet. The sea water is almost still because it’s the west side of the island and just perfect for a morning swim. The local fish market sells a daily fresh catch too and it comes highly recommended. Looking forward to going back next month. Wonderful family beach home. The large open living space of this wonderfully appointed beach home was perfect for our extended family of 9, including our grandchildren ages 7, 4 and 7 months! The beach was clean and beautiful, the pool perfect for the young children and the large open air living space allowed us to fully enjoy each other and the cool ocean breeze at all times of the day and night. All our needs were met by the friendly, competent staff. Perfect island weather! I liked the guidance with the handy book as it relates to the driver Vernon and other details. The cruise was great with GOOD TIMES (see trip advisors) and Ralphie with the Billfisher III was the best captain I have ever had (see fishbooker online). We ate fresh fish we caught for over 2 days and got live lobsters as well. The house was great and the extra stuff such as towels, beach lounge chairs were great. We used the kayaks and rented boards and that source was great and reliable. Overall we had a great bonding experience with family. My young family and I had the pleasure of spending just over a week at Crowsnest, the beach house and location are incredible! Waking up each day and stepping out on the beautiful white sandy beach can only be described as heavenly. Swimming in the calm crystal clear sea each morning with turtles was such a beautiful and surreal experience. If you’re going to Barbados and you’re trying to find an idyllic place to stay then look no further! This beach house has everything you need and more, great location, access to amenities, has a stunning view of the entire beach, relaxing bbq area, roof top pool and bar! I cannot recommend this beach house enough, we are set to return ASAP. We’ve been vacationing in Barbados for a decade and have seen most of the island, but the beach at Crowsnest II is the about the best! Add to that a spacious, luxurious villa with all the conveniences of home, an attentive housekeeper, and an outdoor living area with views of the Caribbean in every direction and what Crowsnest offers is the perfect vacation! We highly recommend it! We first traveled to Crowsnest II years ago, our experience was so amazing we immediately began planning our return! 2 years and 2 new twin children later, we made our triumphant return to this beautiful house. We’ve stayed in many destinations and many great homes, but Crowsnest II takes the cake. It lives up to all the pictures and hype. From booking to departure, Andy, Susan and Michelle couldn’t have been more pleasant and helpful. Traveling with kids is always adventurous, but their help and this house made it very comforting. Steps from a rooftop pool and a beautiful beach, with breathtaking views of the beach, this house is a vacation playground with everything kids and adults could desire. If that isn’t enough, the guidance and information provided is so complete and informative (not too mention on point) it just makes the stay even more enjoyable. Mike, your house is the best, we’ll see you and the beautiful Brighton Beach again soon! Thank you for a wonderful beach home to stay in. Till next time Barbados!! The house couldn’t have been better for our girl’s trip! Love the “outdoor” feeling! So hard to leave this beautiful island. We had the most amazing time here in your most beautiful home! It is so hard to leave “paradise” today. It has been a time we will never forget! We stayed at Crowsnest for a week in March and had the best vacation ever. The house is extremely well designed and kept by the friendly and ever so accommodating staff. The views are breathtaking, the beach is very private and the house was staffed with everything we could ask for and then some! I highly recommend this property. Loved the house, the staff, the country, everything!!! It was phenomenal!!! Thank you so much, we thoroughly enjoyed ourselves. What a fabulous vacation we had! Crowsnest II was absolutely perfect. Thank you so much, again, for all your help in making sure our vacation went smoothly. We hope to come back very soon! Where to even begin with this gorgeous house? We came to Barbados with six adults and four children, ages 5, 7, 12, and 14. This five bedroom house had everything we could need. Gorgeous views in the open third floor, beautiful pool, well-appointed kitchen, plenty of room to spread out. Right on a stunning beach. We loved watching the cruise and freighter ships pull into port, sailboats and catamarans glide by. Our flight in was (sadly) delayed by about 6 hours, but Susan, the house manager, was waiting for our arrival and stayed to show us everything in the house. Michelle, the housekeeper, was excellent, unobtrusive and very thorough. Marion the laundress made sure our clothes and linens were fresh every day. Jo made sure every detail, from directions to procedures, was easy for us to follow. The house is very secure and we felt exceedingly safe through our entire stay. The beach is clean and pristine, the water an indescribable blue. Our children had plenty to do, between the sand on the beach, the pool, and the multitude of games and Legos stocked in the house. The house itself is located just far enough from Bridgetown and Holetown that the area is not crowded, but close enough that a night out to dinner isn’t taxing. We did not want to leave! Thank you so much for a near-perfect vacation. We can’t wait to come back!!! We had a great vacation with wonderful friends! Your home is beautiful. Your home is so beautiful and peaceful. We loved staying here. Thank you for allowing us to share your home. Thank you for letting us be guests in the beautiful villa. We had a great time and are looking forward to be able to rent it again! We loved our week at Crowsnest II. I almost do not want to tell anyone how good this villa is – I almost want to keep it “our secret”. We stayed there (party of 9 ) during New Year week and had a great experience! We are already considering to booking it again despite we are always looking for a new experience. We just want more of this villa and Barbados. Why? 1. Practically “Private beach” . What is a definition of a private beach for you? During busiest time of the year – it was roughly 75 yards to the closest family on the beach. Plus some people could be jogging or running in front of you. There are no hotels on Brighton Beach. More privacy would be already scary for some people. 2. Third floor – 3,000 – 5, 000 square feet leaning over the beach ; with sound of waves , palms , view, hummingbirds , hammock – dream comes true. 3. Barbados has plenty of fish markets. We are foodies, and fresh fish has better taste then best possible refrigerated. Closest markets: Big one – 4 min drive in Bridgetown ; small one at the end of Brighton beach. We walked there. Best time for both – 10:30 AM -11 AM . 4. Everything was well organized: Joann, Susanna, Michelle, owners manual, security system. What I like about Michelle – she does her job but we practically do not see her presence. That is the best room service. 5. Island has a lot of sports activities – if you like. More then other Caribbean islands. And cheaper then average, not mentioning other safe (and expensive) islands like Turks or Caymans. 6. Locals are very friendly: stop and offer help when we were lost, suggest where to go, etc. Crowsnest is an absolutely stunning property directly on the beach, perfect for families with young children. We had a wonderful time with 3 children under 5 being able to play on the beach as well as the pool on the roof top! I would thoroughly recommend this property as ‘the perfect retreat’ to all groups. Crowsnest offers 5* facilities and is well positioned on the West coast close to the island’s major attractions and signature hotels and restaurants. We thoroughly enjoyed our stay at Crowsnest. Brighton Beach was perfect in every way, calm waves, powder sand and NO seaweed. The other people in our group were staying on the south shore and they couldn’t even go to the beach because the seaweed was so bad. This should definitely be a selling point for Crowsnest because no one realized how bad the seaweed gets this time of year. We also really enjoyed Michelle. She was there every day and was a tremendous help when I accidentally spilled something on my dress 15 minutes before we were leaving for the wedding. She was also very helpful in reaching out to Susan when I told her one of the gentlemen in our group fell through the deck near the pool. Thankfully he wasn’t hurt but we definitely appreciated Susan coming over right away and making sure the deck was fixed asap. We will definitely recommend Crowsnest to anyone visiting Barbados. The handbook was also a great help and helped us get in contact with the driver we used around the island named Fred Butcher. I would recommend putting him in the handbook because he was fantastic. He went out of his way to make sure the groomsmen got to the wedding on time and even drove 2 different groups to their 4am and 6am flights. His phone number is 246-243-6502 and his email is nzazu@yahoo.com. Thanks again for all your help in making our stay go smoothly. This place is sheer luxury. Having spent two weeks here (June into July 2015) I can honestly say it is simply one of the most incredible idyllic locations I have ever been. 100% paradise. The house is right on the silky shady beach and also houses a pool for bar side dips whilst refuelling on Pina Coladas. The staff (Michelle, Maureen etc) were both friendly, efficient and thorough. I would recommend this place to anyone. Eating meals while staring out at a deep blue Caribbean sea and watching the breeze waft through the palm trees will live on as beautiful memories long after any kind of tan has faded back to white. I loved Crowsnest2, can’t wait to go back. SOON I hope! Blog post detailing my trip to Barbados! We have had the best time at Crowsnest2. This place is awesome. We have had 2 weeks of pure luxury and we are so grateful that you have let us use your house. Michelle and all of the staff were friendly professional and extremely efficient. We can’t praise them enough. Crowsnest2 we shall miss you! Until the next time – love from us all. I wanted to thank you and the lovely staff at Crowsnest for the wonderful time we had in Barbados. We were greeted by Carissa, who was very helpful and friendly; Michelle took great care of us during our stay and was always smiling, and we enjoyed a wonderful meal prepared by Michael and Pedro. We had an amazing vacation in Barbados and would certainly love to return in the future to your beautiful property. Memorable holiday to celebrate our 40th wedding anniversary with our children and grandchildren in a dream location. Beautiful villa, wonderful views. Everything is great. Thanks Michelle for all you did for us during our wonderful vacation. (Posted on Trip Advisor) Having travelled to 4 continents within the last 12 months I can, without a doubt, say that Crowsnest is by far the most peaceful and beautiful place I have recently visited. The house is located right in the middle of Brighton beach with stunning views of the Atlantic Ocean. The gorgeous sandy beach is pretty much deserted, which will leave you with a feeling of complete tranquility. There is a fire pit provided on the beach right in front of the house, so be sure to make the most of it in the evenings or at night, as it will simply add a bit more magic to this truly magnificent place! The villa has a 30ft pool located on the 2nd floor (and a pool bar!) as well as a breath-taking 360⁰ view of the ocean and the local area. Although the temperatures outside can get very hot, there is a constant breeze travelling through the house (due to the way it was designed), which also gets rid of the mosquito problem (not a single bite!). All bedrooms have AC units and a high-speed internet access, which makes this place ideal for those who are constantly on the move and need to work wherever they go! If you enjoy cooking, Crowsnest is definitely a place for you; so get your BBQ hats on as the kitchen/grill facilities at the villa are second to none! There is a supermarket nearby so don’t worry- you will ever run out of food! If you’re not a fan of cooking and enjoy fine-dining there is a great selection of high-end restaurants located within a couple of minutes drive from the villa. Locals are very friendly which makes exploring the area a lovely experience. My recent visit to Crowsnest left me longing for more and I am certain I will be back to enjoy this little paradise in the not so distant future! Thank you so much for allowing us this opportunity to stay in such a beautiful house with such a wonderful staff. The beach was just great. 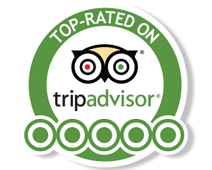 We really enjoyed our stay here and of course, it was also a great pleasure meeting you and your sons. Everyone was so friendly and pleasant to be around. This was a celebration that we will never forget!!! Thank you. The perfect getaway! Karissa and Michelle were very attentive to our every need and request. The house was immaculate, and we definitely took advantage of the lounge area & pool. The beach we were on was incomparable, the best beach I’ve ever been to- hands down! I will definitely be recommending this property to others! Thanks again. Beautiful beach house. Enjoyed our stay at your paradise. Thank you. Michelle was amazing and truly accommodating to our requests, as were all the staff. Our Penton Family Reunion shall hold wonderful memories. Thank you so much for sharing your villa! Thank you so very much for this wonderful villa. Our family reunion was a great success. Everyone thoroughly enjoyed the house, and of course the beach is magnificent. Karissa was very friendly and prompt and a great help. Michelle went out of her way to help in any way she could. The trip was a total success. Thank you so much. Thank you for letting us rent your home in paradise – We had a wonderful time and made lots of memories! Thank you for letting us rent your home in paradise for our spring break! We had a fabulous time. We had perfect weather, food, relaxation. If you are ever in Tennessee let us know. Thank you for letting us rent your lovely home for our family’s spring break. We’ve been to many of the Caribbean islands and really enjoyed exploring and getting to know Barbados. The Crowsnest was the perfect location. We had a great time all week . We are so sad to head home today. Cheers! We’ve had a lovely week here at Crowsnest. We celebrated our 10 year wedding anniversary here yesterday (Feb 5) and this house really made it special. Had a lovely time enjoying the pool and the views are unparalleled. We’ve spent much more time in the house than we’ve ever done simply because you feel like you are on the beach without actually being in the sand. Thank you for letting us rent this lovely home! It was just great that Crowsnest was such a great place to stay, because we experienced some of the worst weather we have ever seen in Barbados. Having been there many a time, there has been the odd shower, but we actually had 3 to 4 days of torrential rain while there. The weather was so wild that a nearby power line was broken by falling trees and we had no power one morning. But still it didn’t seem so bad at the Crowsnest. We pottered and enjoyed some downtime reading in the comfort of the house, and even the rain was almost pleasant to watch from the breakfast table! Michelle was super about the house, and made sure that any clothes were washed which was indeed very handy especially when there are 2 little boys around!! And even the big boys make a mess sometimes too, so lovely to have all the facilities to hand. Caressa was sick, so we didn’t see her again, but to be honest, everything was perfectly in order so we didn’t need to see her at all. So finally a HUGE THANK YOU for creating such a warm welcome for us at the Crowsnest, and for helping us have a great break from work, superb quality time with the family, and all in all a wonderful holiday in a charming setting. You couldn’t have done more to help us have a more enjoyable holiday, and it is truly appreciated! “Paradise on earth” – It was our first time to barbados and all I can say is wow. The house was huge and stunning. The views over the sea were amazing. It was so nice to be able to sunbath by the pool in the morning and then walk onto the beach for the afternoon sun. Out of the 10 nights we had one rainy day, which we still enjoyed experiencing! Went to some amazing restaurants but loved being able to cook at home and relax also. Can’t fault the holiday at all and we would go back tomorrow if we could! From booking the holiday to landing back in uk the whole experience was perfection! Our trip was amazing. Barbados is so beautiful and so was the house at Crowsnest. I think we all agree there isn’t anything we would change. The top floor with it’s open air design and view of the ocean was so beautiful. And having a beach right in front of the house was perfect for the kids. They loved running in the ocean and having the waves wash them back up on shore. Would definately stay there again. Everyone who sees our pictures of the house say it looks amazing and we have even had some ask for a link to the website for potential future travels to Barbados. We felt safe, and there was so much room in the house. Having a housekeeper to help with laundry and cleaning was also an added bonus! Paradise in Paradise!! The most stunning setting in Barbados imaginable, ideal for a large family group with kids. I would sincerely recommend ths property to family and friends as it is fully accommodating and safe with friendly staff which makes it an outstanding holiday to remember!! Crowsnest was fantastic. We really loved the location, the beach, the kitchen, the pool. Having so many refrigerators was wonderful. Shondel was great as well. Thank you so much for your help. We hope to return someday! My wife and I had a wonderful time meeting up with our group of 10 at the Crowsnest. The “Crowsnest” house was the perfect touch for a stay in Barbados. That includes everything from the security, the big and beautiful home, ocean view with beach, and wonderful neighbors. Despite so much to do in Barbados, we always found ourselves back at the house having a great time! Thank you. BEAUTIFUL! First time in Barbados and we’ll be back. Locals are very friendly (ask for Charlie & John @ Small Cats). House exceeded our expectations and the kids had a blast. Visit Earthworks if you have time – beautiful pottery and local art. See you again soon. One of our most favourite vacations yet! Had a blast. Thanks to everyone at the Crowsnest!! Thanks for the great memories. We will be back very soon. (To accommodate another booking this returning Sea Turtle guest was upgraded to Crowsnest for the first half of her visit). Thank you! Crowsnest 2 was just superb. I loved the master room and having the doors open listening to the sea. It was exceptionally well equipped and clean. Having the place to myself was a real treat but there would have been plenty of room for my whole crowd had they managed to come (there are 9 of them). Shondelle was lovely, unobtrusive and polite. Sea Turtle was also lovely, again. The outside area is so perfect for lounging around, uninterrupted. As I was on my own it was nice to be able to sit outside in the garden or under the covered area but be able to get to the beach. I never felt unsafe and enjoyed nipping up to Weisers for a beer some afternoons. Mechelle was extremely polite and funny and the Canadian neighbours remembered me from last year too. I was often out to dinner or just going out when she arrived but we had a few funny chats about life etc. Sea Turtle is obviously not quite as glamorous as Crowsnest but I was perfectly happy with the facilities as the location is one of my favorites. It offers superb value for money on one of the best (if not the best) beach on the island, plenty of peace and quiet but very convenient for Bridgetown or anywhere else on the island even if you don’t have a car. I will return. The house and trip were both amazing. As were Shondell, Karissa and Pedro, and Roy and Susan. We had a little issue the first morning in the house and became familiar with Sandy Crest Medical Centre because one of the 3 year olds somehow got their finger crushed in the door by the pool when the wind kicked up but I had a friend on the island who knew where to take her and the neighbour Heather called when she heard her screaming and directed us as well. Pedro had just arrived and hoped in our car to take us there so all was calm later that day. Aside from that no major issues. The house and island were beautiful and the people super friendly. The handbook was very helpful and I have already recommended the place to a number of people who have asked. The cord on the fridge didn’t phase us at all, stuff like that happens. We arrived home to minus 33 celcius so that made us appreciate the non stop sun and warmth down south. The kids toys were very handy as well. Thanks Jo, I appreciate all your help. My family and I truly enjoyed our stay at Crowsnest it was wonderful with a great deal of memories were made. 10 days was a true vacation in paradise. The Crows Nest is a beautiful place and thank you so much for sharing your home. Everything we experienced, from the food the people, the beach were top notch. We hope to come again. I wanted to thank you for letting us stay at Crows Nest – we had an amazing time, and the house, and Barbados as a whole, was wonderful. I’m already working to convince my family to book again next year! Thank you again. Michelle was super about the house, and made sure that any clothes were washed which was indeed very handy especially when there are 2 little boys around!! And even the big boys make a mess sometimes too, so lovely to have all the facilities to hand. So finally a HUGE THANK YOU for creating such a warm welcome for us at the Crows Nest, and for helping us have a great break from work, superb quality time with the family, and all in all a wonderful holiday in a charming setting. You couldn’t have done more to help us have a more enjoyable holiday, and it is truly appreciated! We had such an amazing time at Crows Nest! The house was everything we expected and more. From the rooftop pool to walking just a few steps to the beach, we were pretty spoiled. Shondel and Karissa were great! BTW- I want to send something to Karissa, please let me know the best way to get it to her. Our downstairs neighbours were very nice as well. The outside showers were a big hit as well as the meals prepared by the chef! Next time, we’d like him everyday!!! What a Fabuluous Vacation! On behalf of all of the ladies, thank you!! Overall, we had such a lovely time in the Barbados. Thanks for making our stay enjoyable and quite memorable! People are already asking about where we stayed because it was just soooo beautiful!!! We had the most amazing time. The house was absolutely perfect, we couldn’t have picked a better place. We were so sad to leave on Saturday. Shondell was the best….so helpful and friendly. Thanks again for your help. The trip was fantastic. A stunning property and a beautiful home.5 of 5 starsI got married on the beach in front of, and hosted my wedding at, this property in May 2013. (View the video here). This home took my breath away. The view is beautiful and the beach is one of the nicest I’ve stayed on in Barbados. I have absolutely no complaints about my stay. All of my requests were graciously and promptly received by Shondell as well. It was a perfect vacation and I look forward to staying there in the future. Vernan was lovely. We used him quite a lot, and he said to say hello to you. He’s a wealth of information isn’t he? We went to lunch at Cin Cin one day which was lovely; such a romantic spot!! We also hired a catamaran one day, El Tigre which was fabulous. We got to swim with the turtles which was sensational. Definitely worth hiring the whole boat if possible. Thanks again for letting us rent Crowsnest. We truly had a fabulous holiday and everyone raved about it. Go no further if you are looking for paradise! We had a group of friends homeymoon with us after our holiday and we all agreed that this property is truly excellent. Shondel (house keeper) is great and was always happy to help us with any request. I don’t know how to express the gratitude and amazement of letting us stay here on our week long vacation. Your houses, both the Crowsnest and Sea Turlte were the perfect places for us. The amazing views, the proximity to the beach and the pool were only a handful of the amenities we enjoyed. 30th Birthday Extravaganza! It doesn’t get any better than waking up to the sound of the surf and that cool island breeze! Shondel was a perfect hostess and Vernon proved to be a very knowledgeable tour guide around the island. Tides dining was beyond expectations and the Cool Running Catamaran Snorkel Cruise was the highlight of the trip! But, above all else, your house was super fantastic! We can truly say we helped keep Banks Brewery in business! Just wanted to thank you and your team at Crowsnest Villa. We ha a fabulous time and certainly enjoyed the propert. Shondelle was there from 10:00 ish to 3:00 but never was in the way. She was very attentive to our needs. We loved the outdoor shower in the master bath! The upstairs living space was fabulous! The beach was peaceful and people were friendly. If I were to make a few recommendations to improve the property they would be to install a better fridge in the main kitchen and to get a softer mattresses in the master bedroom. Overall however very nice! Thanks for everything again. April 2013 – Sandy Jones Ontario, Canada. Thank you for your feedback. We are aware the corner “fridge” is not operating as we would wish, but would for the moment prefer to retain it and use as a “cool cupboard” rather than rebuild the whole kitchen; there are in any event two other fridges available. Sorry you did not like our firm mattresses; we and many guest love them but I suppose it is a question of personal choice. Hi, we have loved our trip to Barbados. The house is amazing, perfect setting, we felt like Stars in a Villas. Pool and views awesome !!! Shondell did a magnificent job every day and was very nice. Michele took news a couple of time (which we appreciate). We also had a chance to meet Mike and he is a good man. We appreciate that everything was walking distance and the beach is beautiful (also the view) from top floor fantastic. We enjoyed each moment and hope to go back one day!!! Thank you for all your attention. We were really pleased. Only two of us stayed at the house, but it was very big and quiet. We really enjoyed it especially as it was right there on the ocean and a maid came every day. The property was nice and clean – I would definitely recommend it to friends. I just wanted to write a quick note to thank the Holmes Family for allowing us to stay at the Crowsnest. The home is wonderful and we were all very comfortable. It is everything that is described and then some. Shondel is wonderful. She goes about her work in such an unobtrusive manner, you don’t even know she is there. Yet, when you have a question or request, she is right there happy to answer or do and does it all with a wonderful smile and great personality. Thank you. Crowsnest II – the ideal setting for our family of nine. Not a finer place on earth for us all to be together and share an idealic existence. New habits begun here to make our lives richer and whole. We’d love to be back in a week or two. Crowsnest II was the perfect place for us to spend time with our family who we do not get to see nearly enough. It very quickly became a beautiful, comfortable and relaxing home for us for the duration of our stay. Many memories were built here and we are very sad for our time to end. Crowsnest II is, in my eyes, perfect. The Bajan atmosphere is superb. P.S. It is tradition to shower with the rubber duck. I cannot stress the super-strong connection we have been left with to both your place and Barbados. Lots of sad texting since we got home and longing to be back up on the 3rd floor of your house. Personally, I have never felt this strongly before. It was a perfect place for our family. Great beach walks and very interesting visits along the way with a few characters. I took some videos on my iPhone so I can listen to the surf and tree frogs. Thanks so much for sharing your house. You are awesome. We will never forget Barbados and Crows Nest. God bless you and Happy trails. Our time at Crows 2 Was a perfect getaway. The layout was perfect for family activities, dining, games, breakfasts, dinners, bonding and stories…. soooo close to watch the cruise ships come in. The frogs would sing me to sleep at night. The humming birds kept us entertained in the day light. What a wonderful feature. Lots of swimming, kayaking, hunting for treasures on the beach. The kids found the rum shop and made soooo many new friends. We were sad to leave. The people of Barbados were polite, kind, very good to us. Shondell was wonderful and always smiling: what a sweetie. I thank you for a perfect holiday. Dear Mike, A quick note to say how much we enjoyed the break at Crowsnest II, before returning to the rigours of Christmas! Thank you and Jo for doing everything to help and make us feel welcome. As the ‘Visitors Book’ will reveal, we followed the instructions/advice in your comprehensive “house manual” assiduously and were well served by your tips. Needless to say, two of us were hardly a rigorous test of your resources there, but everywhere we looked we found an abundance of everything. Again, many, many thanks. No doubt we will be knocking on your door again. An extraordinary week for us – an unexpected treasure of watching the last three baby turtles from eggs make their brave way down to the ocean. Lots done in a week, lots still left to do. WOW!! What an absolutely amazing vacation we had. I literally cried while driving away from Crowsnest. The gift my family received by the Barbados/ Crowsnest experience is invaluable. I already have a few friends that may contact you about renting for themselves soon. Shondell is amazing! Youll never believe this but we actually saw the 3 last baby turtles from a nest pop out and find their way down to the water early one morning!!!!!!! It was AMAZING!! Especially for me, as I work in Labor and Delivery here in Boston. (: That same day we hired Smallcat Cruises to take us out on a day cruise catamaran trip to actually swim with the big turtles. Granny even went in!! I’d LOVE you to recommend the crew of that ship to future guests of Crowsnest. It is a smaller boat that took 12 people- perfect for us! The captain Charlie was awesome and his crewman Tabari equally as good. I’d say the best day of the trip. Besides the Catamaran, we had a couple more excursions. We toured the island with our favorite cab driver, Ollie one day. He took us to the East Coast and we had an exquisite lunch at The Atlantis after we checked out the Soup Bowl. Ollie took us to Harrison’s Caves as well which was breathtaking. I sincerely hope to return to Crowsnest. But, if it never happens, I am glad to tell you that the 7 days we shared there as a family is priceless and none of us will ever forget it. We are blessed to have come upon you and Mike. Please accept our sincere thanks for everything! It is hard to sum up what an amazing time my family and I had at Crowsnest. The home itself is stunning- EXACTLY as described and pictured. The layout is brilliant- there is not a spot in the home that is not beautiful and comfortable. Shondell kept the home so tidy but more importantly lit up the room with her friendly presence. We witnessed a sea turtle hatching RIGHT OFF THE PORCH early one morning~ It was the cutest thing we have ever seen! Small Cats Catamarans took us on a day cruise where we swam with sea turtles and snorkeled over a shipwreck, it was absolutely amazing! We are so incredibly grateful to have had this time together as a family in such a wonderful spot. I had to hold back tears while driving away – We would love to go back. THANK YOU MIKE AND JO!! Much love and thanks for letting us stay. You truly have a beautiful home! Thank you for letting us use this wonderful little paradise. Made me realize that we are living all wrong where we are. Peace. We had a blast! Much love and respect. We love this place – swim out to the red ball for best reef and fish. Be back next year – this is the place! Thank you so much. As the end of our week comes to an end, we are saddened to have to leave such a comfortable paradise. The kids were so comfortable they were calling it home a few days in. The house, neighbourhood, people and of course the beach were all wonderful and made the stay so relaxing and memorable. Thanks for sharing such a wonderful place – our family truly enjoyed the week and will never forget it. Dear Homeowners, we had a fabulous time and we really enjoyed your place. Thanks for making our stay very enjoyable and memorable. I don’t know how to express the gratitude and amazement of letting us stay here on our week long vacation. Your houses, both the Crowsnest and Sea Turtle were the perfect places for us. The amazing views, the proximity to the beach and the pool were only a handful of the amenities we enjoyed. Loved Mechelle and her help and both Shondel and Eulita were of great help. Thanks again and not only can’t I wait to come back but this is the first place I’d recommend whole-heartedly!! I have really enjoyed my first stay on the island, IT WILL NOT BE MY LAST. You have everything catered for. I am from London and have stayed in 5 accommodation. This has been 10 . Thank you VERY, VERY much. Just a brief email to thank you all for the help and attention you gave to Celia and myself and the wonderful stay at Crowsnest. Once again we have taken the house for the middle 3 weeks of March and once again provisionally booked the same three weeks next year. Enough said? First time in barbados and the experience is enough to entice us back again. The house is stellar, so well designed for a beachfront. It accommodates places for privacy and for fun and for fellowship and grandchildren; what a treasure! Great memories to take back to a cold and snowy Canada. Thank you for sharing your island gem with others. Thank you so much for allowing my family and I to enjoy such an amazing home. Overall, one of the best vacations I have experienced. We were worried because we usually stay in resorts but this was so much better. You are situated directly on the beach. The beach is beautiful and quiet. No one bothered us to buy merchandise. It does get very hot but the roof top pool always refreshing and, with the open concept, the breeze directly from the sea keeps you cool. It was so great that we rarely felt the need to leave the property. You awake to the sound of the waves and start your day with direct views of the sea whether lounging on the 2nd or 3rd floor of the building. We were 10 adults and 2 children and yet we always had lots of room, never felt cramped. The information package provided is very helpful as were all staff involved. The cherry on top was the chefs that Mechelle found for us. They were professional chefs that outdid themselves every meal. They were organized and the food was local flavour of gourmet quality; I would highly recommend them to your future patrons and will seek them out upon our return. Thank you for sharing this slice of heaven with the general public; not many can afford such a gem; we are grateful. A slice of Bajan heaven; we will definitely be returning. Thank you for letting us stay in your beautiful house. Great House; great location. We look forward to returning soon. The Crows Nest Team couldn’t do enough for us. Thank you so very much for an awesome holiday. We hope to be back very soon! We just returned from our vacation and had a fabulous time. Crowsnest II is beautiful. We were a total of 3 families; 6 adults and 6 children, and Crowsnest II was perfect. The layout was great, and the house is so spacious that even with 12 people, we never felt crowded. Crowsnest II is located on a big beautiful beach that is perfect for swimming. My 8 year old was in the ocean everyday. Thank you for letting us visit Crowsnest II. We hope to be back soon! I just wanted to send a note to say thank you for everything you did to make our visit to Crowsnest II a wonderful experience. We had a fabulous time with great weather, great home on a beautiful beach. We hope to be back again soon. What an incredible week. We will be back one day soon! Mike your house is great; thank you for letting us rent it. The sound of the waves at night was calming, the “Crows Nest” incredible. We had lots of fun; Shondell was great – thank you. Thank you for a wonderful and extremely memorable stay. I sincerely hope I can return someday. The house was awesome. The rooms were nice but there was nothing better than the top floor pool & bar area. We had so much fun we could have just stayed in the pool for months. Loved the view, love the people, can’t wait to come back. The Crowsnest was the perfect layout for our family of 8; not to mention beautifully blended with the landscape. What a view! We left the house a few times to explore, but gave up when family members became irritable because they just wanted to be back at the house! We had a really nice holiday. The house was beautiful and the view amazing! We had a great time at the Crownest II. Shondell was great. Thank you; we had an amazing time in your wonderful house. It made my birthday the best. Thank you for all of your help in making our vacation the best we’ve ever had as a family. We really had the time of our lives! Barbados was a total joy, made all the easier to negotiate by your guide and helpful input. And the house! Wonderful!! We’ll never forget that beautiful, breezy, spacious, fun-filled top deck in particular. So thanks again, and we do hope to return. OMG!!!! I don’t know what else to say. Mike your house in WONDERFUL!!!! We had a blast. Loved the design, especially the master bedroom with the balcony, and the upstairs. We love Shondell and she was the best!!! Your help on navigating us where to go was very thoughtful of you and we are grateful. The cat that you suggested was amazing we swam with the turtles and the guy on the boat helped my mother (age 74) snorkel. The massage lady was amazing!!!! We enjoyed every part of this splendid place to the fullest and we would love to be able to come back soon to your slice of heaven. Thanks so much for sharing this wonderful place with my family and I, we were very sad to leave. What an awesome house to stay in for or 30th island in the Caribbean and first trip to Barbados. The help of Shondel and Michelle is the best we have experienced & this is our 21st rental of a beach home. The layout of your house is unique and very well planned. We will return. I have been asked by VRBO, Homeaway and Vacationist to review the beach rentals and island experiences in 30 islands we have visited and I will definitely ensure Crowsnest II is given a stellar write up. Of the 20 or so homes we’ve rented, Mechelle and Shondel are probably of the best on-island quality help we’ve seen. A complete bonus is how kid friendly your home is and, for people who are mortified of hurricanes in the Caribbean, how safe you would truly feel with the wind blow-through design. We had a wonderful time in this loverly house. It is amazing & looks just like on the website. The beach was perfect for swimming and the deck upstairs perfect for lounging. We had a great time and really appreciated all the help from the staff. Thank you. We had a wonderful stay in your beautiful home! Hope to be back. We thoroughly enjoyed our stay in your lovely home. Jo, Mechelle and Shondel were wonderful to work with and the cook who Mechelle arranged, was great. We had a spectacular time. Wonderful home, beautiful island, friendliest people. Can’t wait to return. OMG what a wonderful home! We loved our stay and will be back. Joe turns 50, Charlie woill be 60 next year, we hope to be back for the party! Thank you so much. Absolutely loved the house and hope to be back for my partner’s birthday next year. Wonderful, relaxing, fun stay at a wonderful, relaxing and stunning home. The top floor at Crowsnest has to be one of my favourite places on the planet. The open plan kitchen is just one of the many inspired design features. The kitchen plays a big part in our family life and the top floor kitchen is an absolute delight. Hands down, there is no other place I would rather stay in Barbados. We had the best holiday ever. The location is absolutely fabulous and the property was fantastic – it was paradise. It was the first time we have been to Barbados and we loved it. We will definitely be back. Thank you for allowing us into your beautiful home. Everyone was comfortable and we had a wonderful time. Unfortunately the weather was not as good as we had hoped for, but then you can’t have everything! I recently stayed at this spacious villa creatively designed upside down! The pool and living/dining area are on the top floor! Plenty of room to share, or curl up with a good book in peace and quiet on the front terrace. Having dinner watching the sunset every night wasn’t bad either… It is a virtually private beach and walked a mile along it up the west coast every morning occasionally running into one or two very friendly locals. The villa is easy to get to and a centrally located base to explore this beautiful island. We look forward to our next stay there! This place is sheer luxury. Having spent two weeks here (June into July 2015) I can honestly say it is simply one of the most incredible idyllic locations I have ever been.